Southwest Rapid Rewards Premier Credit Card Worth It? Every year you are going to get 6000 bonus rewards. ou are going to earn 2x rewards points per $1 purchase on Southwest Airlines. You are going to earn 1 rewards per $1 on other purchases. After you spend $1000, you are going to get 40000 rewards points. After you spend $12000 in a year, you are going to get additional 20000 rewards points. There is no foreign transaction fee for this card. Interest rates for purchases, cash advances, balance transfers are high. Balance Transfer and Cash Advance Fees are high. 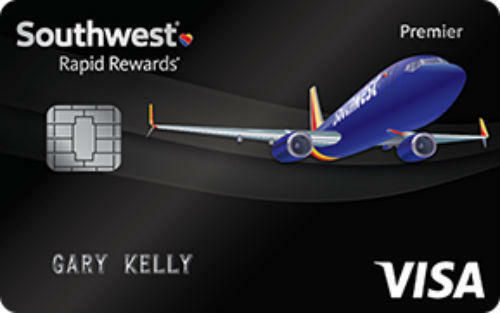 Southwest Rapid Rewards® Premier Credit Card is a flight card that you can earn rewards points from Southwest Airlines. Features of the card is very similar with Plus Credit Card and Priority. However annual fee and annual bonuses of the card is different. You are going to earn 6000 rewards points annually for the card and you will pay $99 annually. You will gain 40000 bonus points after you spend $1000 with your card. Additionally there is an opportunity to earn 20000 bonus points more if you spend $12000 with your card in a year. 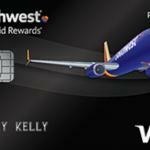 If you are using Southwest Airlines very often, you can get benefits of this card silightly. However if you don’t purchase from this company, we don’t recommend this card. One of upsides of the card is that there is no foreign transaction fee. Foreign transaction fees can be problem at travels if you visit abroad. Interest rates and fees of the card is high. 17.99% – 24.99% 2x Rewards Points to Southwest Airlines Purchases. 40000 Rewards Points Bonus After $1000 purchase. 20000 Rewards Points Bonus After $12000 purchase in a year. You can read some users reviews of Southwest Rapid Rewards® Premier Credit Card below.